The season has changed and it is time to store your fine woolen garments. Here are some tips for storing your garments. What your garments need protection from is not only moths, but also crickets, beetles, silverfish, a variety of insects. 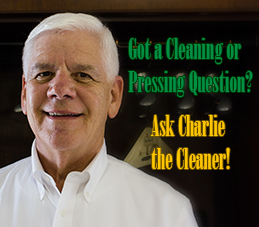 The first step in protecting your garments is to ensure that the garments are clean. Insects have been known to damage polyester garments if there is spilled food on the garment. Second, store the garments in a cool dry place. The attic is hot. The heat may cause dyes to migrate or material damage. The basement is too damp. The moisture can cause mildew. Also insects need moisture to survive. 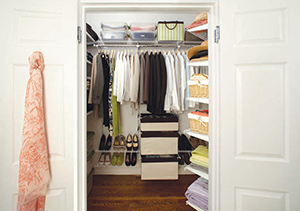 A closet in your air conditioned home is good place to store garments. Here is what I do to protect my garments from insects. First I go to the grocery store and purchase an aerosol can of flying insect killer, not ant, not roach, but flying insect. I use Raid Flying Insect aerosol. I take the can home, shake well and spray lightly into the room and see that the spray is well atomized. Now to protect the closet. Spray lightly, maybe two or three seconds, across the top and bottom of the closet. I then place the can in my closet as a reminder to spray again at a regular interval, say the first Sunday of the month while I am out of the house at church. Being out of the house gives the fragrance a chance to dissipate. Mothballs. The active ingredient in mothballs is heavier than air and may dissolve some plastics. To use mothballs, place them in a container designed for mothballs, and hang the container high in a closed closet. Use a closed closet because the vapors must be at higher concentrations to kill insects. To remove that moth ball odor, ventilate the garments. Use a fan to blow air over them. Dry cleaning will not remove the odor. Cedar closets are good for a few years. After that their greatest attribute is that they are tightly constructed, preventing insects from getting to the garments. I would recommend spraying cedar closets for extra protection. Remove plastic bags when your clothes are returned from the dry cleaner. The bags are not designed for storing garments. The plastic degrades with age. Recycle the plastic bags. If you want to protect your garments from dust, use a ventilated garment bag or maybe a pillow case over the hanger.